Raw Amethyst Gemstone & Silver Pendant Necklace With Silver Plated Chain! Amethyst Crystal Pendant Necklace! 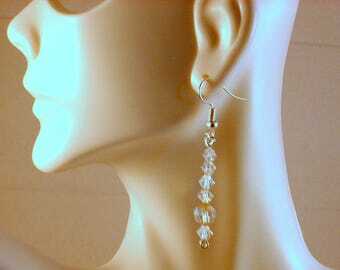 GLAMOROUS - Crystal and Crackle Glass Dangle Earrings 1 1/2" Silver Craft Wire, Wire Wrapped! DAZZLING - Suni's Aurora Borealis Crystal Iridescent Necklace Wrapped in Fine Silver Wire Suspended from a 16" Silver Plated Dainty Chain. This lovely brooch arrived quickly and in mint condition - thanks so much! 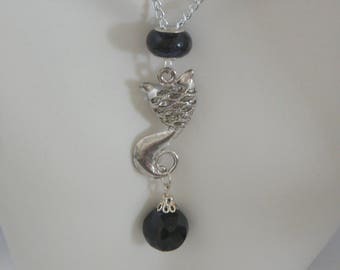 Absolutely gorgeous pendant! This will be one of my favorites to wear. Shop owner was wonderful to deal with and she had my item ready to ship the same day! Will definitely purchase from again :) Thanks so much! Nice headpin mix with 3 types of metal. 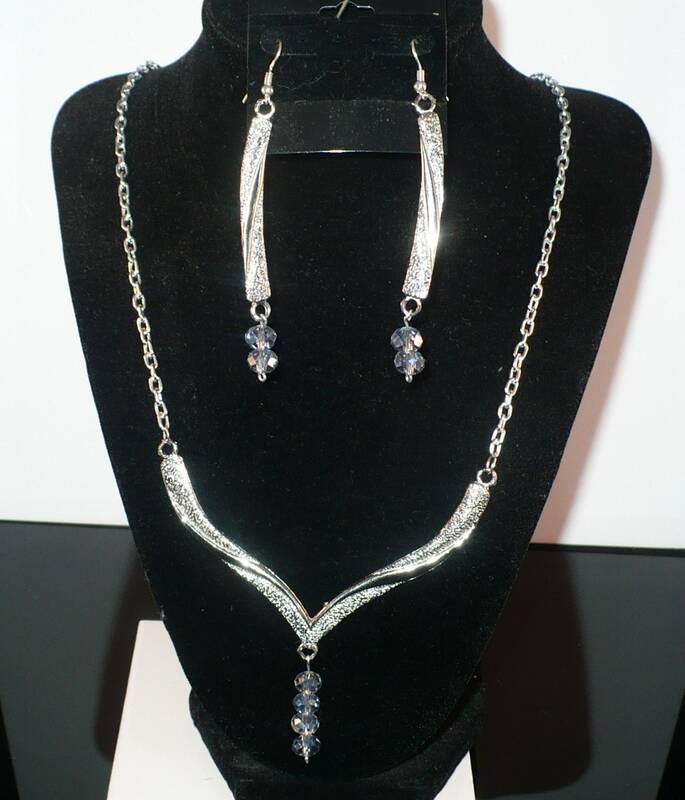 These sterling silver chains are very nice. Return shipping is the responsibility of the buyer, item must be, returned within 14 days of purchase and in the original condition it was purchased. for a store credit to be issued, it is good for 1 year. Exchanges are not offered as you are purchasing items that tend to be One of a Kind. Shipments usually are made within 1 business days of receipt of payment if it sells before Post Office closes, it is being shipped from Eastern Standard time zone. How to take care of your jewelry? -Keep your jewelry away from sunlight as the sun could fade the stones. -When cleaning your jewelry, gently wipe your jewelry with a clean, soft, damp cloth, after cleaning, dry it with an absorbent cloth. To look it's absolute best, jewelry should be cleaned regularly. CZ's and gemstones are as beautiful as they are because of the way they reflect light, and jewelry cleaning is the best way to main this skin oil, soap, grease or hand lotion will drastically decrease the brilliance of your jewelry. Soak your jewelry in a small bowl of warm water with a little dishwashing liquid added. Using a soft facial brush, or a cosmetic brush (like the type used to apply eye shadow), brush gently. This works well for cleaning a pearl ring and jewelry set with coral, lapis lazuli, malachite, turquoise and similar stones. Handmade Artisan Memory Wire Bracelet, Red Advent, Amber & Gold Beads, Brown Rubber Tubing, Wear Alone or Stack Them! Vintage Cat Trinket Jewelry Box Hand Painted Wooden Handcrated 4X3"
Handmade Artisan Memory Wire Bracelet, White & Gray Howlite Chips, Gray Crackle Bead Black Rubber Tubing! Wear Alone or Stack Them! BERRYLICIOUS - Purple Bead and Topaz Crystal Dangle Earrings. Wrapped in Natural Copper Wire. 2 1/2 " Long.